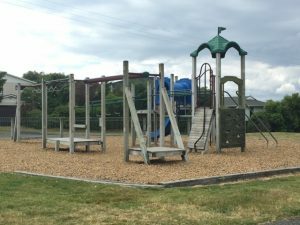 Set in a large grassy area, this playground stands out along the main road in Kuratau as it must be one of the few playgrounds in New Zealand to have a ‘giant game’ set up. Tucked into the custom made wooden seats, are all the giant sized pieces you’ll need to play chess, draughts and naughts and crosses on the giant sized board. All the community asks is that the pieces are returned to the seats at the end of the day. Other than board games, this playground has a small area of playground equipment with a couple of swings, plank style bridge, slide, small tunnel etc. There’s also a basketball court and tennis court if you BYO equipment. The grass allows plenty of space for ball games, kite flying or a picnic under one of the trees (which is the only shade around). Address: Omori Road, Kuratau. Street parking just next to the playground.